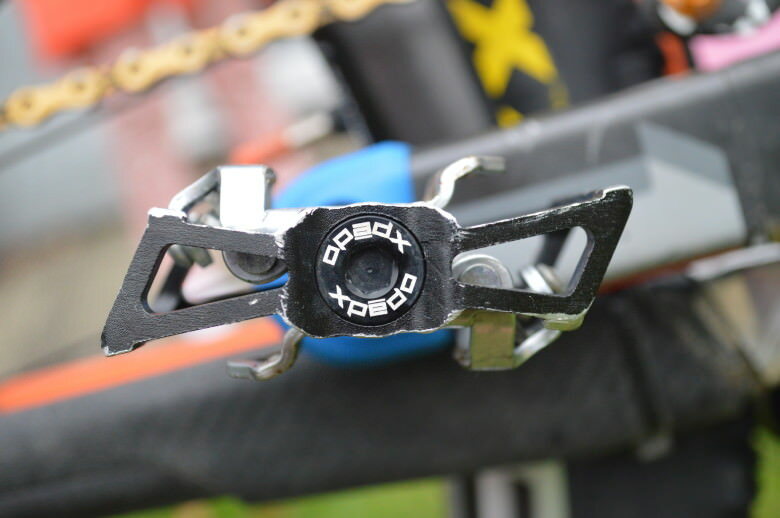 We’ve had a set of these Xpedo Baldwin pedals on test now for around 4 months, and have been abusing them in the testing trails of the UK. They have now done countless muddy rides, races and big XC loops in every type of terrain. 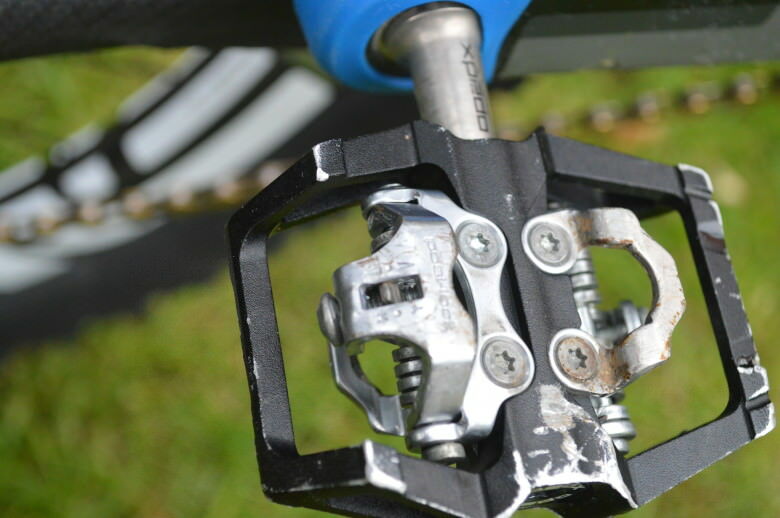 Being a long-term fan of the Shimano DX clip pedal I find it very hard to bring myself to try anything else, thinking it may end up either not working or have the reliability of the chocolate bearing-ed Crank Brothers version. We had better get the issue of the name out of the way first, these are a US brand where Xpedo would mean nothing, but over in the UK that name has a whole different meaning, I guess some things do get lost in translation, but believe me it’s the only bad thing about these pedals. 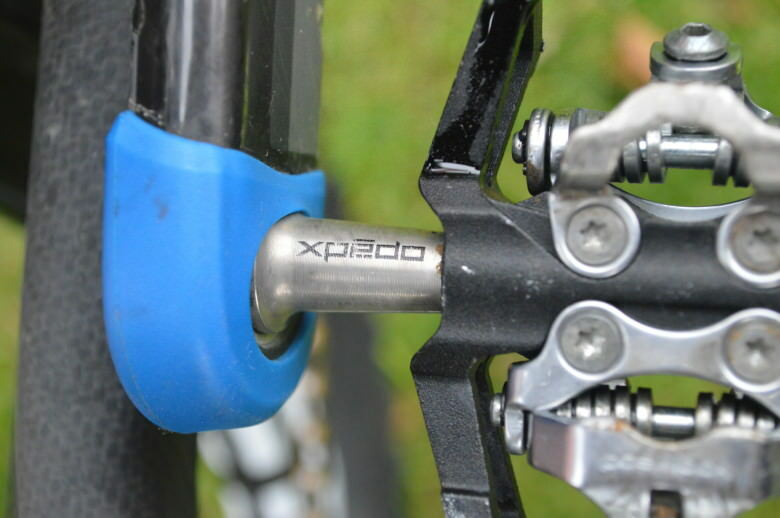 The gripe I have always had with the Shimano DX pedal is the heavy weight of 580 grams. These little beauties come in at a mere 332g’s or if you choose the Ti shaft they go down to 292g, now that’s some serious weight saving. Still not keen on that name! The first noticeable thing about these pedals, is the fact they are compatible with the Shimano cleats. This is great for riders who may have more than one set of shoes, maybe for different seasons. 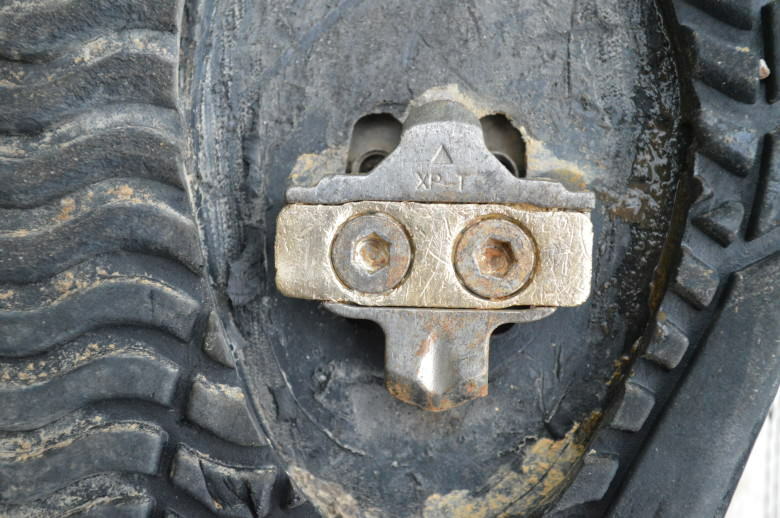 Their own cleat is very similar, but fixes with an open ended adjuster, the cleats CNC alloy body is extremely strong, as mine have now taken some horrendous whacks on rocky trails, with no signs of cracks or bends. There are 3 cartridge bearings, which after lots of snotty rides and matching jet-washes, still spin with the plushness of a goose-down pillow. The side to side float of the cleat in the pedal is 6 degrees, this took a couple of rides to get used to, as it doesn’t feel as positive as Shimano, but the fact you can see the adjustment position is a fantastic idea and makes great sense. Out on the trail these things really do work well, lots of Shimano using friends of mine have tried the various bikes I’ve had on test, equipped with the Baldwins and have never even noticed they weren’t Shimano, that can only be a good thing. They come in a choice of black, gold, silver or pink. Direct US prices are $20 for the cleats (you get a set with the pedals anyway) $119 for the Baldwin or $189 for the Ti shaft version. As for availability in your country you would have to contact them to avoid the dreaded import tax I got stung with!